Enjoy stunning views of mountains and valley from this fully-equipped apartment that is located within the National Park in Andorra. Immediately on your doorstep are amazing walks, passing waterfalls, upto the mountains, within this conservation area. Travel there in any season you choose, including the skiing season if you wish, where there is a ski lift within a 10 mins walk. 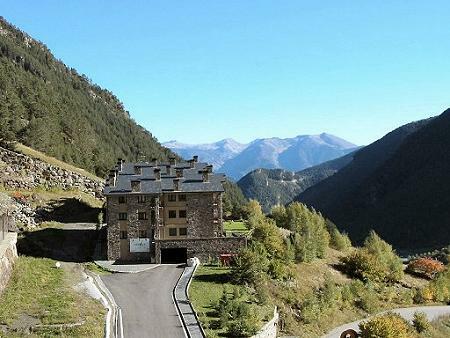 Seven nights stay, self-catering, at Apartment in Andorra, and includes linen and towels for the winner and friend (up to 3), as well as all utilities. Flexible arrival and departure dates are permitted, at any time of the year. The prize is subject to availability and must be taken by March 2014 (excluding Christmas and bank holiday periods). The prize does not include flights or car hire. View the Free Prize Draw Terms and Conditions here. You can find out who has won a particular competition by following links on our website to our previous winners pages link. Want to be one of the first to hear about any relevant news from us? Opt out anytime.